Solid Hardwood Stile and rail construction reinforced with dowels using type-I exterior glue. 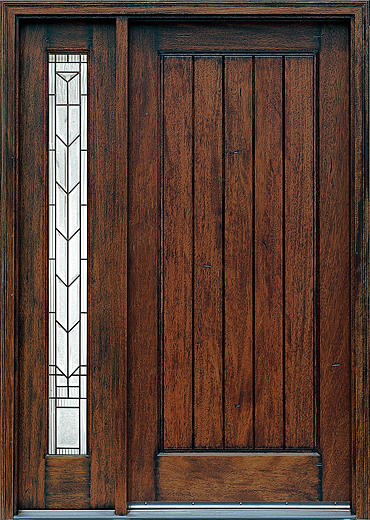 All Mahogany Type doors and sidelites with floating solid wood panels. 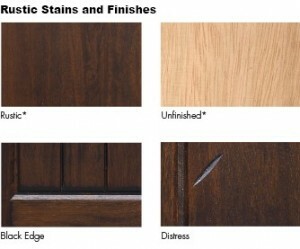 We offer one standard “rustic distress” finish for the Rustic Mahogany Collection. Only the “rustic distress” finish is offered for the Rustic Mahogany Collection to give the appearance of an antique or of heavy prior use. 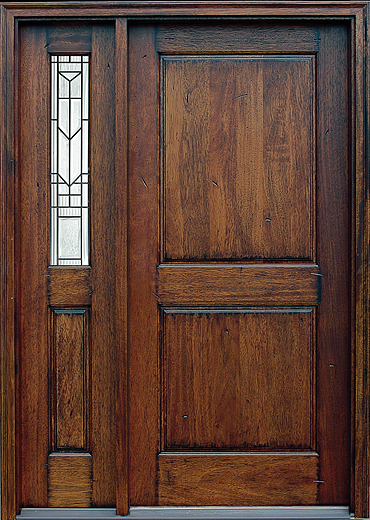 The doors are intentionally distressed for an older look as though they’ve been around for a long time, with a surface texture and patina, i.e. scratches, holes and dings. Because of the inherent vagaries of photographic and printing processes, we cannot guarantee finished products to be exactly as shown. 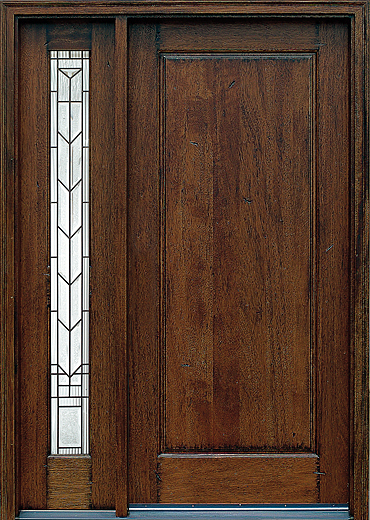 Our handcrafted glass is beautiful, durable and meets or exceeds the requirements of the consumer product safety commission. 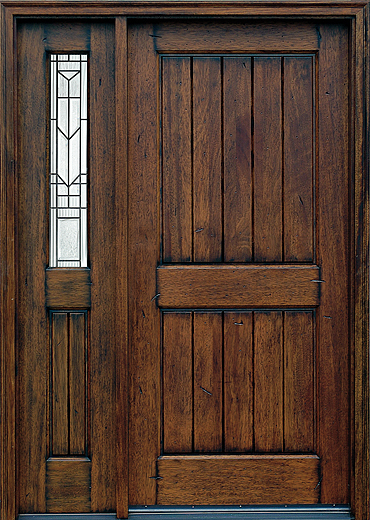 All glass styles are available as sidelites for any model. 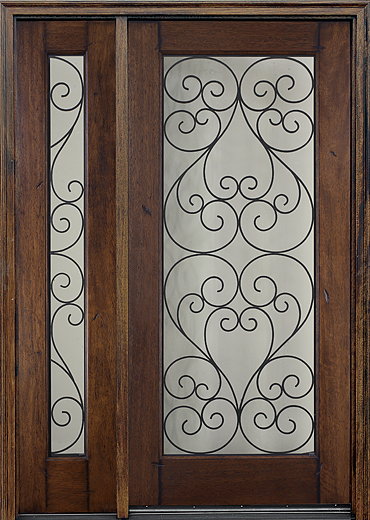 The door glass available for SH-900 (glass A, SH-900) is wrought iron glass and has a matching wrought iron sidelite available. 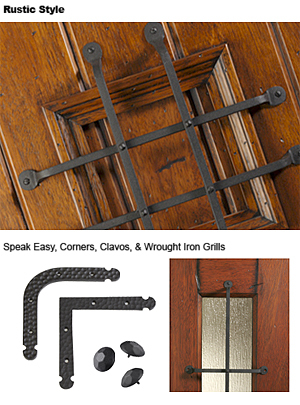 Iron hardware powder coated with a protective satin black finish to with stand the elements. 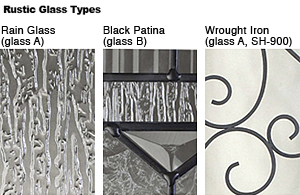 All hardware can be purchased separately or factory installed.. 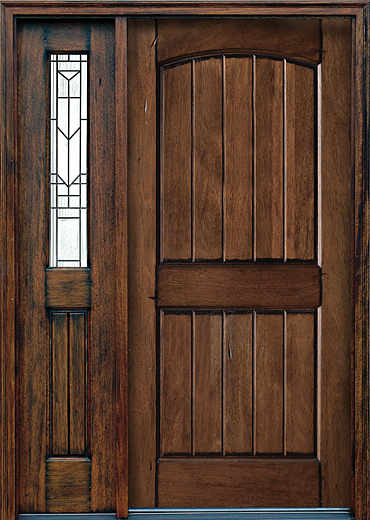 Single Doors for this model available at the Home Depot website or as stock door in select Home Depot stores.